Cosimo is standing at his father’s deathbed when he learns that, as the family’s eldest son, he is going to inherit the decision-making power of the “Banco Medici”. Prudent Cosimo is immediately aware that this legacy is not an easy one. The Medici family is at a crossroads: its members are regarded as politically unreliable, economically insignificant, quarreled, criminal and corrupt. 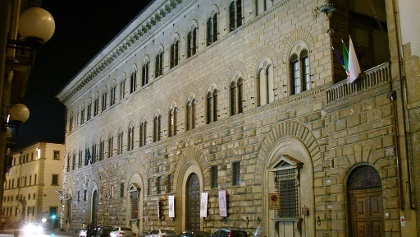 Many centuries later, we know that the bourgeois banker’s son not only united the family and substantially expanded the bank of the Medici, but he also laid the foundation for a dynasty that would produce aristocrats, popes and queens. Giovanni di Bicci, Cosimo's father, was already the second richest man in Florence at the time of his death. He actually comes from a rather insignificant branch of the Medici, a family that is part of Florence’ bourgeois patriciate. But Giovanni is a skillful man, who serves as a banker to the pope and makes good business in Rome. He later founds the »Banco Medici«. The banker is a smart man and understands to only get involved with politics if he absolutely has to. Whoever loans money from him, also owes him a favor. Little by little, he builds up a big network of economic dependencies. But Cosimo does not only inherit his father’s wealth and influence but above all the suspicions of the other patrician families. 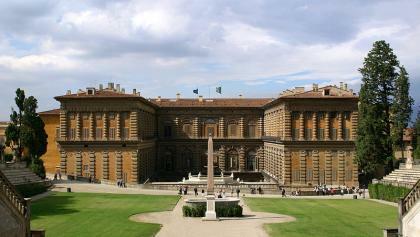 They are in a deep financial crises after an unprofitable war between Florence and Lucca and fear a coup by the Medici. 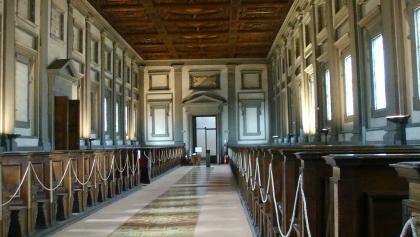 The other families stage a trial to banish Cosimo from Florence. But the clever strategist already transferred all his money to Venice. The following years form Cosimo’s most valuable virtue: he waits patiently, with no ostensible resentment, and strengthens international contacts. 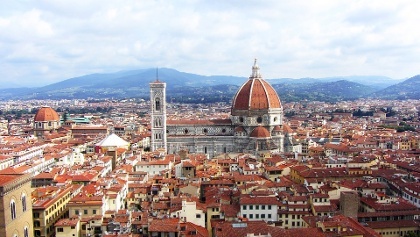 10 years later, in 1434, Florence is at the verge of financial ruin and Cosimo triumphantly returns to his home town. He waited many years for this moment and does not waste a second to get started. He banishes those who once did the same thing to him and replaces all important offices with his allies. He remains in the background while controlling all of the cities councils. 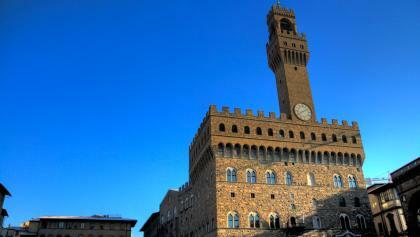 By all accounts, Florence is a republic – but in truth it is ruled by a patron: Cosimo. Giovanni di Bicci and Cosimo de’Medici are only the beginning of a golden Florentine age. Already his contemporaries refer to Lorenzo de’Medici (1449-1492) as »Il Magnifico«. Cosimo’s great-grandchild is brutal and moreover not a very skilled banker. However, he supports the fine arts and discovers the 15-years-old Michelangelo. In the following decades (and despite another exile), the Medici strengthen their power in Florence. With Leo X., Clement VII. and Leo XI. three members of the family were named as Bishops of Rome. Under Pope Clement VII. the Medici take back control of Florence. Caterina de’Medici (1519-1589) and Maria de’Medici (1575-1642) are both named as queens/regents of France by marriage. While Alessandro de’Medici is named as Duke of Republic of Florence a few decades later, his successor proves to be a ruthless enforcer and is eventually named Grand Duke of Tuscany. Now, the Medici are the Masters of Tuscany at last and rule until 1737. 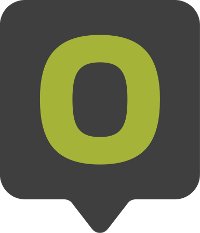 They promote artists, philosophers and scientists such as Leonardo da Vinci, Michelangelo and Galileo Galilei. Already Cosimo de’Medici perfected the Maecenate (patronage). By publicly patronizing arts and sciences, the patron precisely influences the public opinion and easily strengthens the own position. He and many of his successor build palaces, academies, mansions and monasteries. 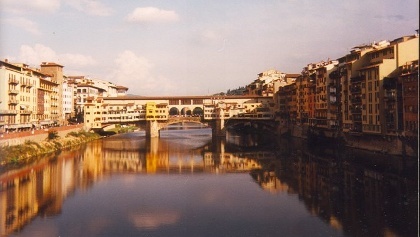 Under the Medici, Tuscany becomes the heartland of the Renaissance and Florence its center. The Medici accomplish to not only make a name for themselves among their contemporaries but also for their posterity. 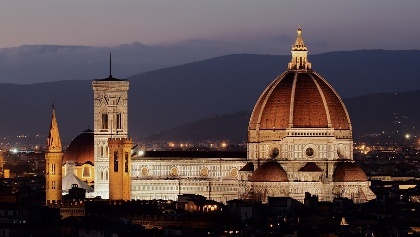 Even centuries later, the rule of the Medici is irrevocably associated with Florence.